SeaWorld and Aquatica San Antonio will see new additions like a Sesame Street parade, a summer celebration, a beer festival, a new waterslide and more in 2018. Sesame Street’s presence in the park will expand out of the Sesame Street Bay of Play with a new street party parade. This daily celebration will include Sesame Street characters, contemporary songs, 10 themed floats and three performances along the parade route. This new parade will debut in spring 2018. 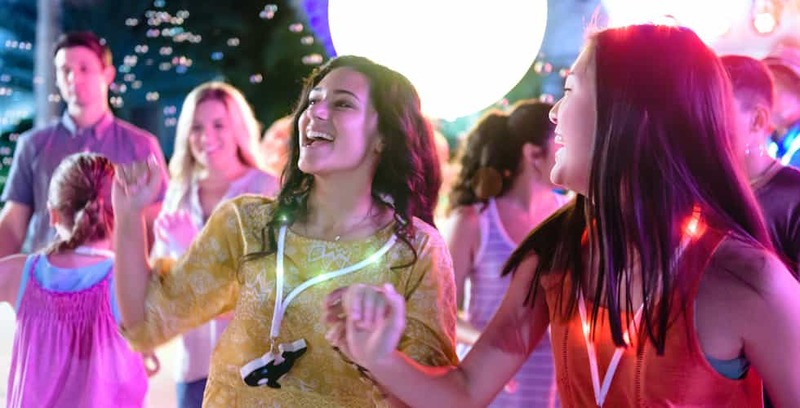 Electric Ocean will be making its way to SeaWorld San Antonio in 2018, bringing its nightly fireworks display and party zones packed with electronic dance music. Also returning will be HydroPower Extreme FX and Shamu’s Celebration: Light Up the Night, as well as Sea Lions Tonite. Electric Ocean will take over SeaWorld San Antonio from June 15 to Aug. 12. Inspired by over 200 years of Oktoberfest, Bier Fest will bring a lineup of more than 100 beers from around the world, as well as a few local brews. The fest will also feature authentic German food and music. Bier Fest will take place over three weekends, starting on Sept. 1, 2018. A new waterslide called Taumata Racer, named for the famous hill in New Zealand, is set to open in spring 2018 at Aquatica San Antonio. This high-speed waterslide will zoom racers downhill head first on foam mats. This waterslide is also competitive with six side-by-side lanes. Taumata Racer begins by launching riders through an entry tunnel that makes a 180-degree turn, and then straightens to make two descents over the 375-foot slide length and 55-foot drop in less than 10 seconds. SeaWorld will also expand their existing event offerings for 2018. The year will kick off with Wild Days, and feature a month packed with unique animal shows including Jack Hanna. The Seven Seas Food & Wine Festival will return in April with a new food location, local bands, and more global fare than ever. New scares, including a frightening nighttime stage show, will be waiting for guests during Howl-O-Sceam, with family-friendly activities during Spooktacular. The holidays will bring in an expanded Christmas Celebration, and will feature 11 million lights. For more information on upcoming additions to SeaWorld and Aquatica San Antonio, visit SeaWorldSanAntonio.com.